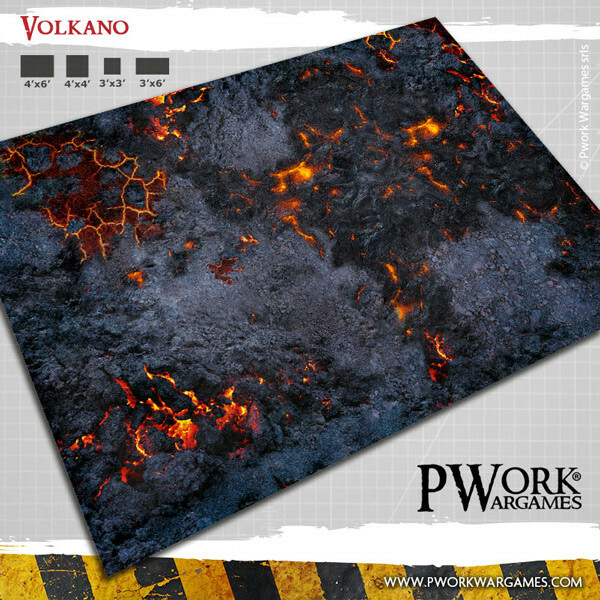 Home Gaming News Volkano: Fantasy Gaming Mat from Pwork Wargames! Volkano: Fantasy Gaming Mat from Pwork Wargames! Volkano! Fantasy Gaming Mat from Pwork Wargames! Play your battles on a volcanic landscape, where cracks in the ground allow the lava to escape from the subsoil, on an inhospitable land, where sharp rocks, sulphurous vapors and incandescent magma represent a greater danger to the enemy itself!